Kindly note: When applying, please apply to ONE application only. If we feel you applied to the wrong application we will update this internally and inform you, applying to multiple applications does NOT increase your chances to pass the CV screening. Many thanks. A wide range of business challenges - present and future - is driving companies to develop new models and new tools to achieve and sustain competitive advantage. More and more, companies are turning to A.T. Kearney for new insights to support and address these challenges. 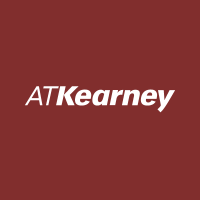 A.T. Kearney is seeking people with the skills, drive and vision to fulfill the promise of management consulting - and fulfill their own potential - in this new era. We seek highly qualified individuals with a proven record of academic excellence combined with significant work experience. We strongly emphasize the personal and professional development of our consultants by involving them in a variety of assignments and supporting them with a strong mentoring program. Our consultants are challenged to deliver valuable insights to clients to help them achieve competitive advantage. We hire experienced professionals at all levels in consulting (from Business Analysts through to more experienced hires like Principals). We will determine a candidate's appropriate level based on background, education level and work experience. Should you be interested to apply, please submit you CV and cover letter.